FRANKFURT -- BMW posted record first-quarter earnings on Thursday that beat even the most optimistic analysts' expectations, helped by strong demand from China and the United States and a surge in sales of its most expensive sedan. Earnings before interest and taxes (EBIT) rose nearly 19 percent to 2.13 billion euros ($2.80 billion) from 1.8 billion euros a year earlier. The overwhelming bulk of this stemmed from its core car business, where EBIT as a percentage of revenue fell slightly to 11.6 percent. Analysts had expected 10.7 percent. Sales rose 14 percent to 18.3 billion euros. Results were driven by rising sales of high-margin vehicles including its family of SUVs and, more importantly, the 7-series flagship sedan. "The BMW Group plans to grow faster than the market as a whole in the current year and expects to achieve new sales volume records for its BMW, Mini and Rolls-Royce brands," CEO Norbert Reithofer told reporters on Thursday. Finance chief Friedrich Eichiner said the company would revisit its guidance after the second quarter. BMW currently expects the operating margin in its core passenger-car business to be at the upper end of its 8 percent to 10 percent target range in 2012. David Arnold, a specialist salesman at Credit Suisse in London, said: "The bears might say that they [BMW] didn't upgrade their full-year guidance, but it was foolish to expect anything else this early in the year, considering the company itself said it might re-examine its target only after first-half results." Hans-Peter Wodniok, an analyst at Fairesearch in Kronberg, Germany, said: "The higher revenue gain shows that prices increased, which led to higher profit. The sport-utility vehicles did very well and the 1 series shot off like a rocket." The robust rise in earnings and sales underscored how big German carmakers, including BMW's rivals Daimler and Volkswagen, are profiting from their increasingly diversified global footprint, notably dynamic growth in Asia. While mass-market European carmakers such as PSA/Peugeot-Citroen, Renault and Fiat are under pressure, premium brands like BMW have benefited from a wealthier clientele that is prepared to pay high prices for cars. BMW is expanding to fend off efforts by Audi and Daimler's Mercedes-Benz to grab the sales lead in luxury autos by the end of the decade. The maker of BMW, Mini and Rolls-Royce models will start production at a second plant in China later this month and is in talks with Brazil's government to build a factory there. The world's top three upscale carmakers are all projecting sales records this year on growth in China and recovering spending in the United States. BMW aims to sell more than 2 million vehicles across its three car brands in 2016, four years earlier than at first planned, after delivering 1.67 million in 2011. 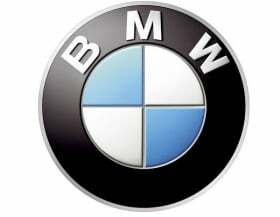 BMW spent 500 million euros in the second half of 2011 to introduce new models, weakening margins. Investments to introduce the "i" electric-car sub-brand and to expand into new markets will likely burden profit more in 2012 than last year, Eichiner said in March. Last year, earnings before tax jumped 52 percent top 7.38 billion euros on the back of a record 1.67 million vehicles sold, while its car segment enjoyed an 11.8 percent operating return on revenue. BMW Group unit sales rose by 11.2 percent to 425,528 in the first quarter, with all three group brands recording new highs. Sales in China grew nearly 37 percent to 80,218, U.S. sales rose by 16.5 percent to 75,931 while European sales rose slightly by 0.5 percent to 201,063. Volume gains of 20 percent for the 7 series and 1 series helped BMW brand's global volume to increase 11.0 percent to 356,548. The 3 series, introduced in February, saw volume rise 13.6 percent. Sales of all X series models increased, led by a 55 percent surge in X3 volume. Mini's global sales were up 12 percent to 68,210 for the quarter, helped by the launches of new roadster and coupe models. Rolls-Royce sold 770 cars, up 6.5 percent.